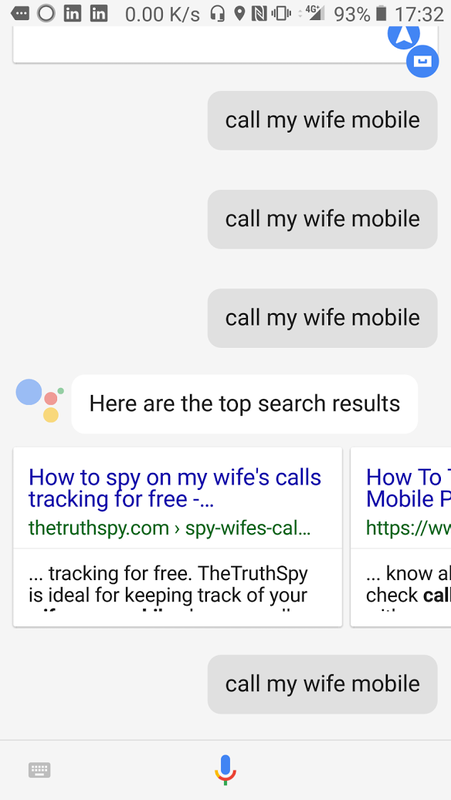 I started thinking about writing this post way before [WayBack] When +Google Assistant gets a mind of their own… – Jeroen Wiert Pluimers – Google+. Though I’ll focus on Google Assistant, the competition (Alexa, Cortana, Siri) have about the same level of incompetence. Though living in The Netherlands, I use the English version of Google Assistant as it won’t be available in the foreseeable future: [WayBack] Google Assistant in het Nederlands voorlopig toekomstmuziek. This means that I cannot use Dutch words for destinations, but find English ones. The odd thing is that after switching phones, the latter wants to perform this navigation by public traffic, whereas my former phone it would default to navigation for driving by car. Basically the only interactions that work sort of OK are calling persons and navigating to places. A cool feature would be navigate to my next appointment, but that fails too. No surprise though, as the simpler navigation commands fail. The best way I found to navigate is to – just before you leave – search on Google Maps in your browser for the route, then open Navigation on your phone (this presumes they use the same account). Starting applications is a pain. It is far from intuitive what kinds of phrases will work, sometimes work or will fail. The Google Voice Assistant still has a long way to go to become useable. This entry was posted on 2017/10/06 at 06:00	and is filed under Google, Google AI, Power User. You can follow any responses to this entry through the RSS 2.0 feed. You can leave a response, or trackback from your own site. Yesterday, I wanted to know which song was used for one of the Pixel announcement videos. So I tried Assistant (“Ok google, what am I listening to?”): it failed. Then I tried the regular Google app (tap the search bar on the home screen, tap the mic, say “What am I listening to?”): that worked. That’s. Really. Just. What?! Most people will not understand this. This post by +Jeroen Wiert Pluimers reminds me of a rant I started, but haven’t yet completed. I so wish, that the level of understanding of voice assistants were better. But, alas, Google has a lot to do. Oh, and I gave up on Alexa right after the first day, so it’s even worse there IMHO. Really troublesome is the poor level of context when it comes to music (or questions about books and authors). One big problem is, that artists as well as song and album titles are in all kind of languages. And so Google often doesn’t even recognize titles I have in Google Play Music (and they should know which I have). So whenever I say “play XYZ” it should try to either find games with that title, then movies then songs/albums/interprets. And don’t try to do movies, when I have only the audio Chromecast connected. Try to find any audio titles that might match first before telling me, that I have no Chromecast (for video) connected. And do that in different languages. And use context when doing so. Google knows that I am German, so please take this into consideration. Even if I try hard to pronouce French or English titles correctly, I’m bound to fail every so often and to use a certain kind of intonation that native speakers never would use. You should have enough samples to adjust for that. So please, do so. You think, I’m asking for a lot? Well, maybe. But then again. I don’t think so. If voice assistants are to take off, they have to solve these kind of things. I hope they will do. Actually, I’m sure they will – eventually. But, right now, I’m with Jeroen: I’m not impressed either.